Spinal decompression is growing by leaps and bounds,and gaining acceptance as the preferred non-surgical treatment for herniated discs. I have a 64 yr. old female as a patient that just received a cortisone injection into her spine a week ago by a Pain management specialist. and she still was suffering. She had to resort to a cane and living on tyleno1 3's and vicodin. 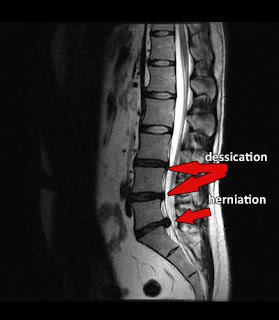 NOT good so after reviewing her MRI I recommend we start a spinal decompression program. She started on a very low pull, and after 3 treatments she is sleeping at night with less pain, and walking better! I have seen so many patients that respond to spinal decompression when other methods have failed. His treatment started with the DRX 9000 table and after 10 visits he is standing without pain and walking stronger and straighter. To many patients dive into a surgery without first considering a non-surgical option first.